Cefin Romania group, is of the most important players in the Automotive industry in Romania and South-Eastern Europe. 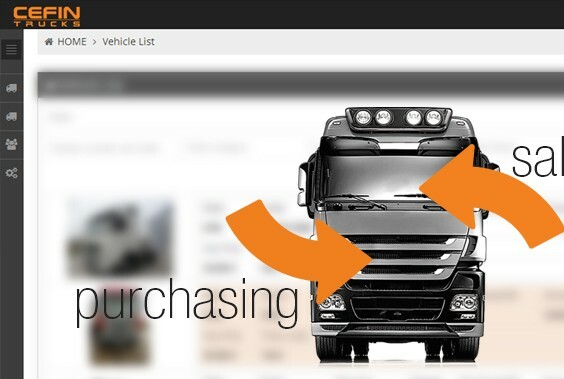 Following Cefin partnership with Bastrucks, a worldwide leader in trucks sales and acquisition, we developed at their specific request a sales and purchasing tool. It proved to be of a great help for the sellers and the acquisition department in their daily communication activity. We established a very efficient flux of communication for every request, so the time for an acquisition to be minimized. Also, the information is centralized, all the history is kept and all the activity is tracked and monitorized by middle and top management.